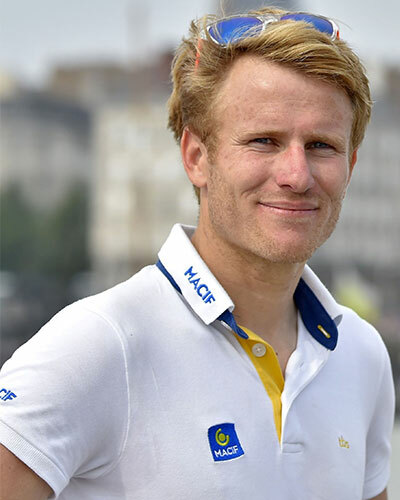 François Gabart, a French sailor, has set a new world record for the fastest solo round-the-world navigation, beating the previous time by more than six days. He finished his circuit of the globe early on Sunday, in a time of 42 days, 16 hours, 40 minutes and 35 seconds and completed the journey non-stop, confined to his trimaran sailing yacht since November 4. Gabart broke the record set by his countryman Thomas Coville last year. Speaking about his achievement, Gabart said, “I'm proud and happy to have made this pretty voyage around the planet." As he arrived in the town of Brest in France's north-west several hours later, his yacht was escorted into port by a host of local boats in celebration of his accomplishment. Gabart's success is partly down to good luck with weather, which can dramatically influence sailing speeds. It has been reported that while chasing the global speed record, Gabart broke several others for solo racing, including the fastest navigation of the Pacific and the longest distance covered in 24 hours - 1,575km (851 miles).